The five basic types of real environmental insurance are site-specific EIL, contractor’s EIL, environmental professional errors and omissions, asbestos/lead-abatement contractors, and remediation stop-loss. There are numerous combined forms that provide protection against a variety of environmental risks and reduce coverage disputes. Contemporary environmental insurance can be an important and powerful coverage within an organization’s insurance program. In contrast to the general perception that environmental‐insurance coverage is restrictive and expensive, the reality is that there is a wide range of coverage available at sometimes surprisingly affordable prices. Environmental insurance is vastly underutilized as a risk management tool. In 1999, the annual revenue of the environmental remediation industry in the United States was about $20 billion. In comparison, the total amount of environmental insurance premiums written that would pay for these services was about $400 million. 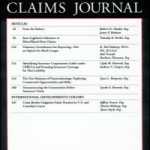 Although there is not a direct cause‐and‐effect relationship between these two figures, they do support a theory that less than 10 percent of environmental losses (hiring a remedial‐action contractor is probably a loss to the person paying the bill) are insured through environmental insurance. It is also important to note that remediation is only one component of environmental insurance. The environmental‐remediation‐industry revenue would not include bodily injury or legal expenses. 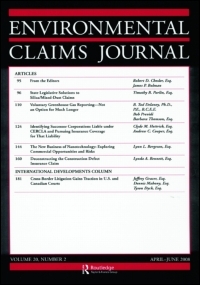 In combination, the macro data on environmental loss costs and environmental‐insurance premiums would seem to support the conclusion that considerably less than ten percent of environmental losses are insured.